Ag producers are being asked to complete a water conservation survey being launched by Texas AgriLife. 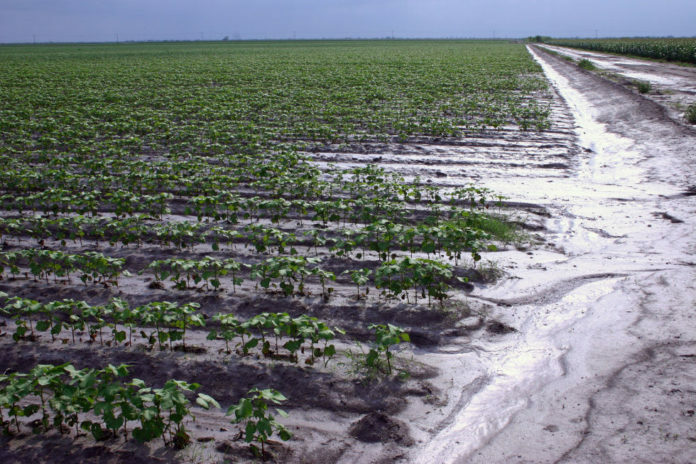 McALLEN — Agricultural producers and irrigation district managers from around the Rio Grande Valley are being asked to participate in a survey as a first step in developing a water conservation plan in upcoming years. Texas A&M AgriLife Extension Service has partnered with Texas Water Resources Institute and other stakeholders to launch a survey in which those in the agricultural and irrigation industry can voice their ideas, concerns and water conservation efforts to assess a better way to work with the limited water supply. With irrigation being at heart of the Valley’s biggest economic sector, agriculture, Gregory said there is a clear need to find better ways to sustain and grow the $28 billion industry. Before even coming out with an education plan on water conservation, the hope is to get as much feedback as possible from stakeholders on existing issues and practices to better accommodate the area. The survey, which was funded by the two institutions, is already available and will be open for at least a few months at SpeakUpAg.com. Partners in the effort also include AgriLife Extension, Texas A&M AgriLife Research, Texas A&M University-Kingsville Citrus Center, Harlingen Irrigation District and WaterPR. The main idea is to not only push for a one-size-fits-all initiative but to first assess why some stakeholders might be shying away from conservation practices and their overall perception on the practices. The issue could be lack of education, he said, but it could also be lack of financial resources preventing people from engaging. “Having some better perspective of what the producers and irrigation district folks are thinking will help us to better tailor those programs in the future and provide better information to them,” Gregory said. The survey includes about 18-20 questions for growers and about 12-15 questions for irrigation district affiliates. Once the feedback is collected, they will work with local Texas A&M AgriLife partners to assess the answers and begin developing a program tailored for the region and go out and deliver the content to the region through different outreach efforts. Some of the outreach efforts could begin as early as February as they plan to first gather with vegetable producers in the area, he said, but this will be a long-term project, Gregory said, as they expect to meet with local stakeholders and travel throughout the entire region.